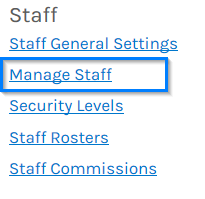 This will prompt the Staff Search screen, click on a staff member record or you can create a new one by clicking the Add a new Staff member button on the right hand side menu. Repeat steps 3. to 5. for each staff member you wish to set up accounts for. 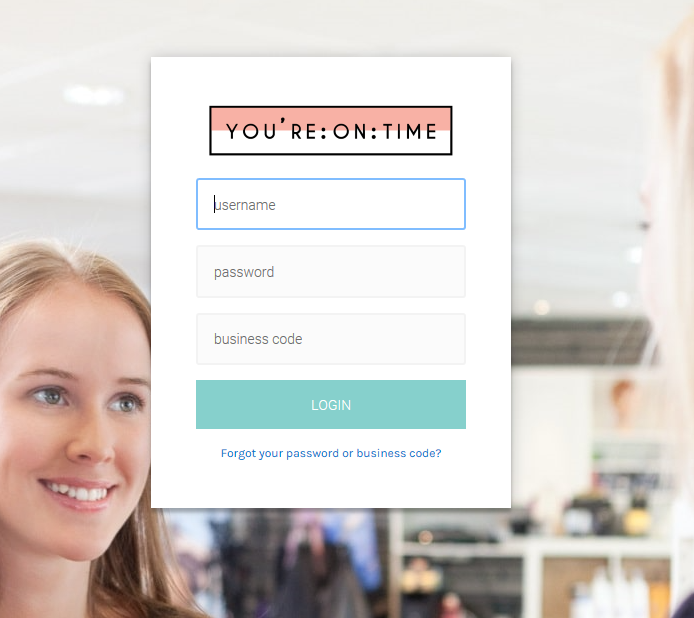 Inform your staff members of thir User Names, Passwords, your Business Code and the following link https://app.youreontime.com/ to log into You'reOnTime. 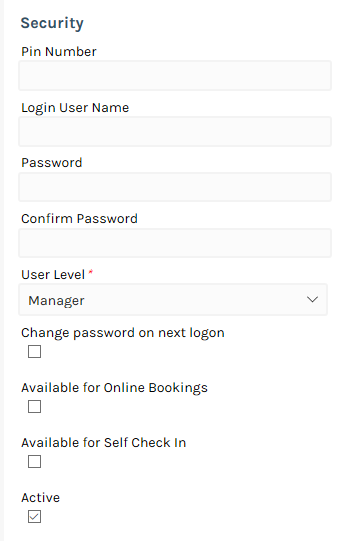 To log in to You'reOnTime,your staff simply enters their Username, Password, your Business Code and click the Log in button. 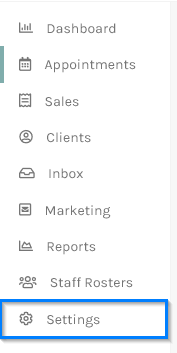 Once logged in, your staff will see their home screen, where access is only available to the Appointments, Sales and Clients and My Schedule screens.